The latest week saw policy board minutes from the latest Fed and European central Bank meetings. The Fed Minutes really told us nothing new, but appeared to solidify expectations for a Fed rate hike on December 16. After a couple of false starts, the central bank seems to be trying to make it as clear as possible that this time around rates are headed higher. Of course we still need to get through the October employment data on December 4, but it will take a disastrous report to forestall a policy tightening. Certainly, a major terrorist event could affect them as well, but for now a rate hike would be the best bet. The ECB Minutes were short on policy specifics, but had a decidedly dovish tone. Given the fundamental backdrop, one might have assumed the USD would be soaring against the EUR. After all, the Fed is in a tightening posture and the ECB is easing. 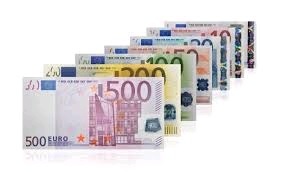 In fact, the USD performed poorly vs. the EUR from Wednesday afternoon onward. This was not due to bad news from the U.S., but more due to the way markets work. It appears to us that traders had gotten to far out on their skis short the EUR vs. the USD and that oversold condition had to be corrected. The chart above, which plots the EURUSD against interest rate differentials between the the U.S and benchmark EZ interest rates, indicates the EUR is still vulnerable to the downside.